the UWRmini® storage system is just as flexible and versatile. With the same depth and four standard heights, at 22.38″ (568mm) wide, the UWRmini® storage system checks in at slightly over half the width of the standard UWR storage system. 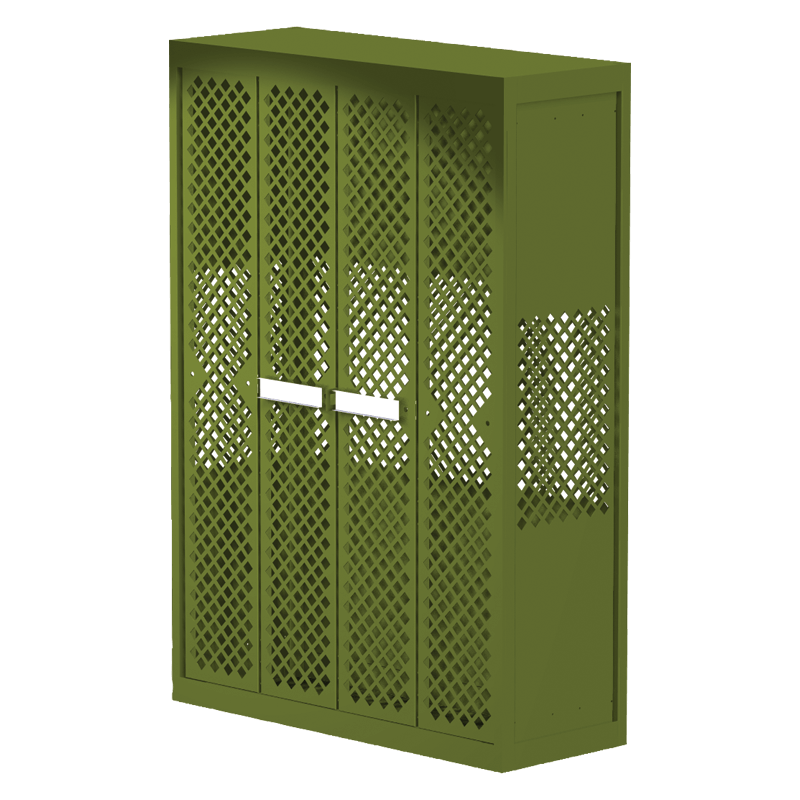 Cabinets are designed to be ganged together from the inside — top-to-bottom, back-to-back, side-to-side, meeting security weight requirements of at least 500 lbs (227 kg). 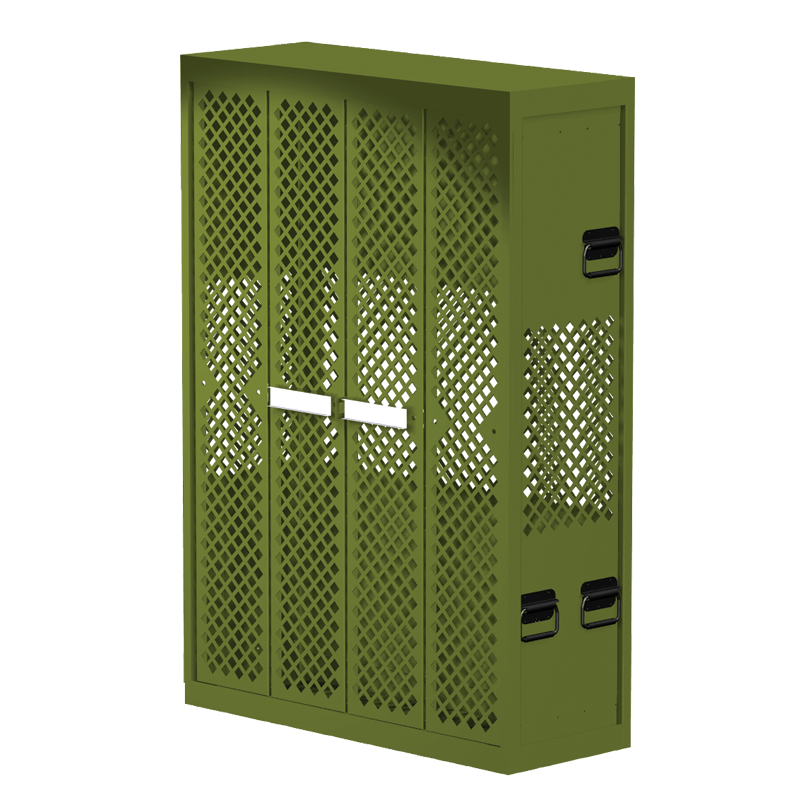 Bi-fold, retractable doors that prevent blocking aisles or neighboring racks and maximizes efficiency of the issuance of weapons and gear. 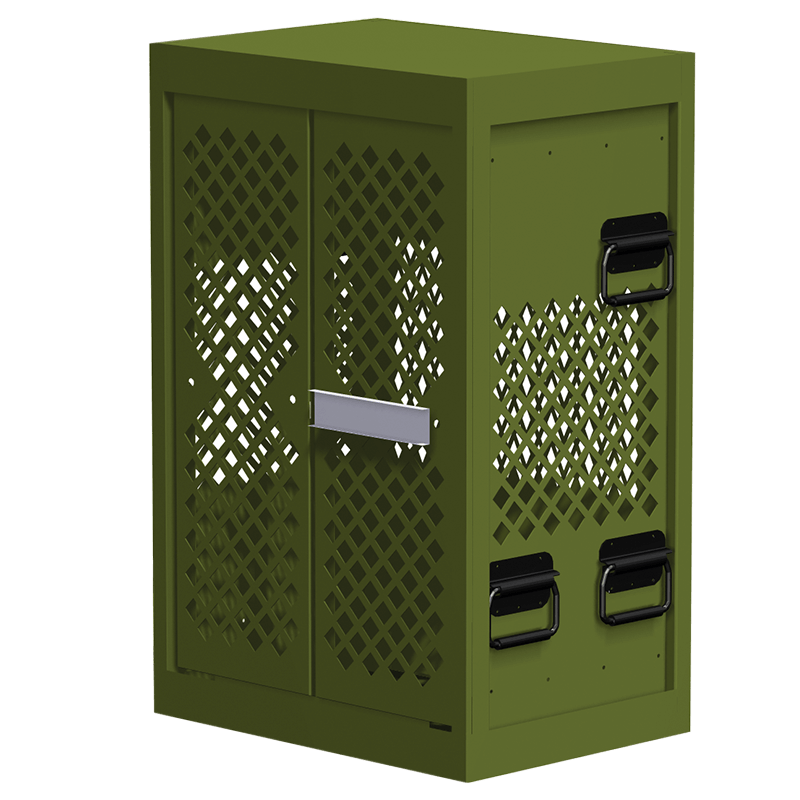 Perforated doors, sides and cabinet back aid in the efficiency of conducting weapons inventory. Door hinges are riveted and welded. 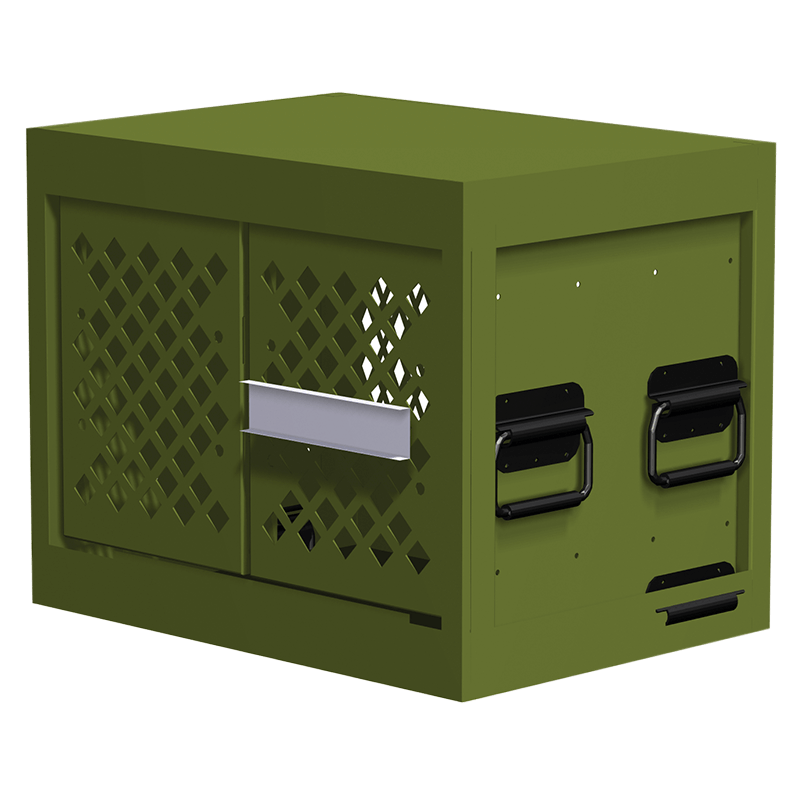 Locking bars exceed military requirements for arms security of conventional arms, ammunitions and explosives. 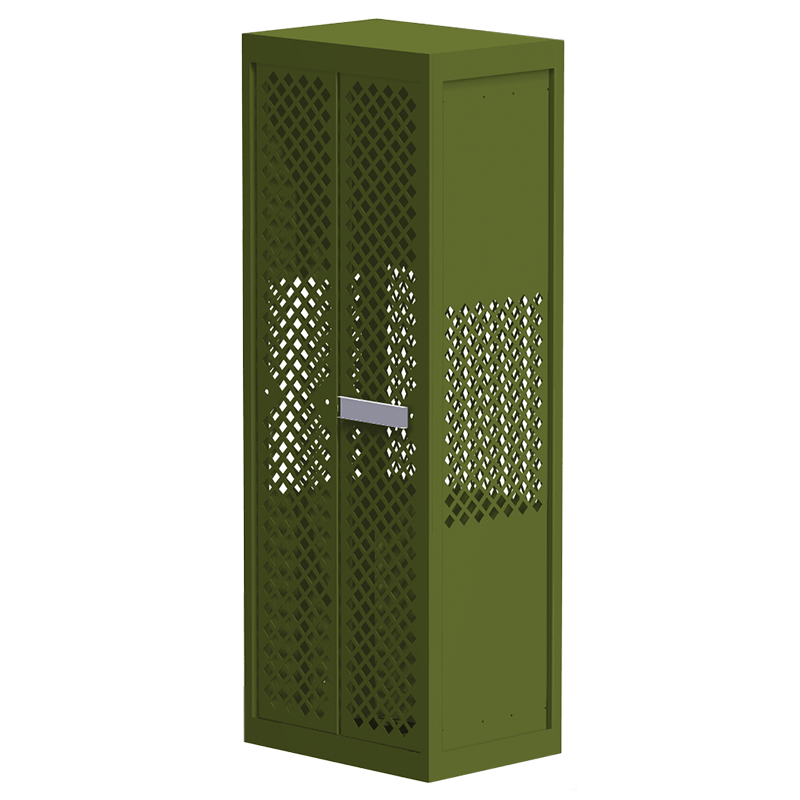 All Spacesaver UWR cabinets meet both OPNAVINST 5530.13C and AR 190-11 security requirements. 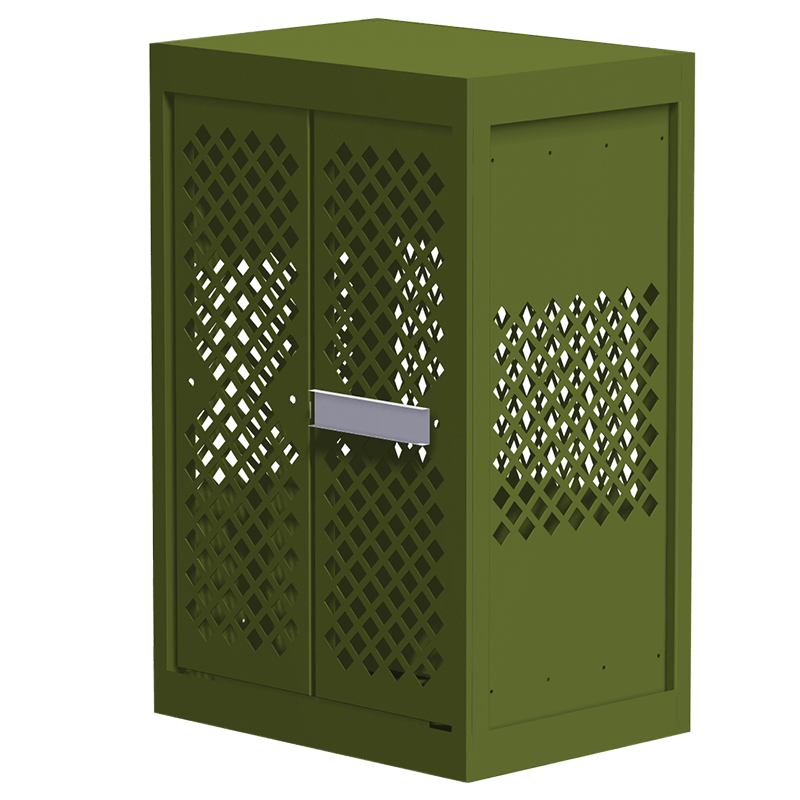 All accessories that come into contact with the weapons are either powder-coated, vinyl-dipped, rubber, thermoplastic-coated, or made from thermoplastic, ensuring weapons are safe from damage. Cabinet only. 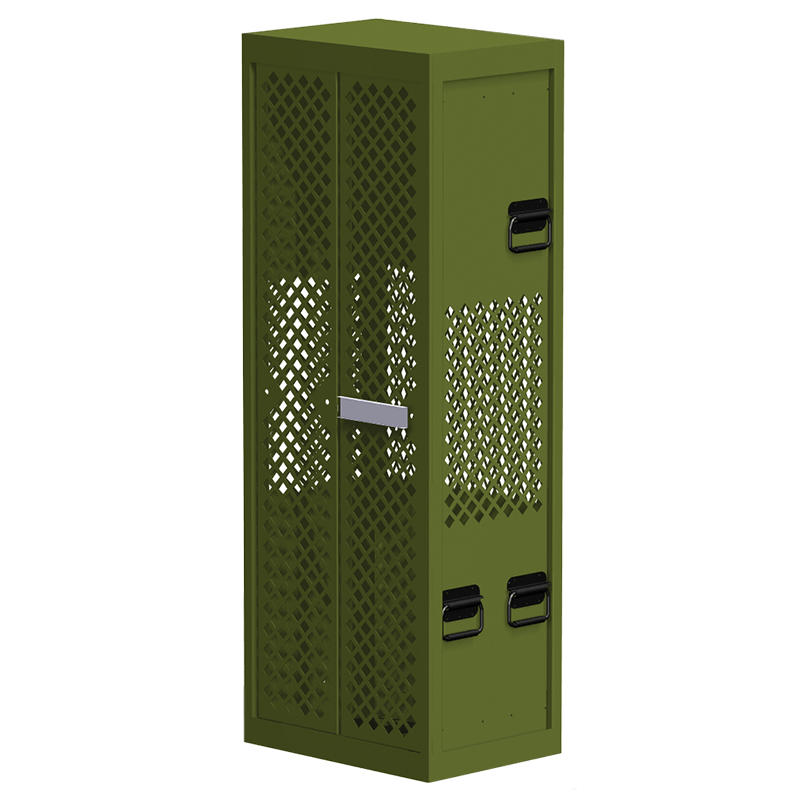 Use for storing gear, ammo, optics or hand guns. Order accessories to configure the cabinet to your requirements. Cabinet only. 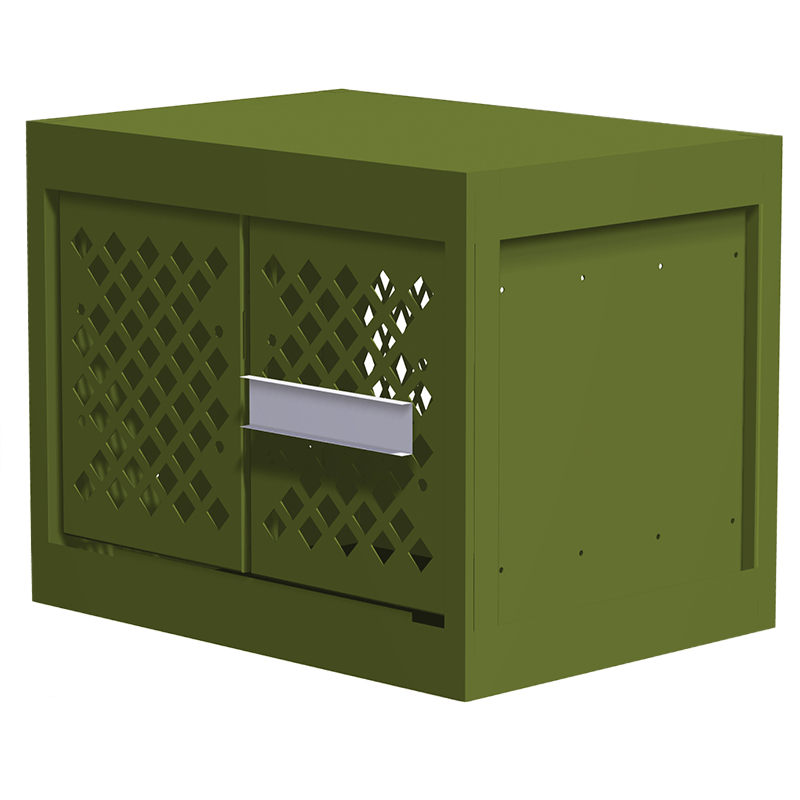 Order accessories to configure the cabinet to your requirements.